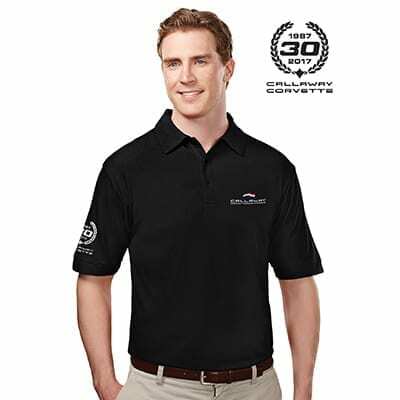 Show your pride and support for all things Callaway with the new Callaway Cars polos, caps and tees shown below. Only the finest materials from leading manufacturers are offered, decorated by skilled embroiderers and silk-screeners to stringent Callaway specifications. 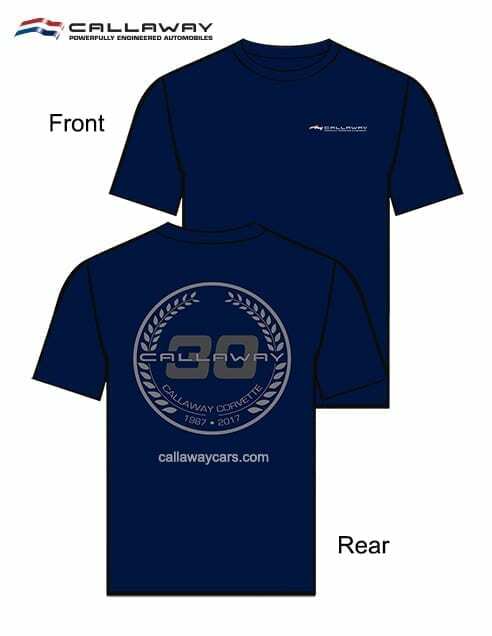 Place your apparel order in the Apparel section of the Callaway Online Store or call us at (860) 434-9002. • Men’s sizes, S to XXXL. • White with Callaway Competition logo on the front. 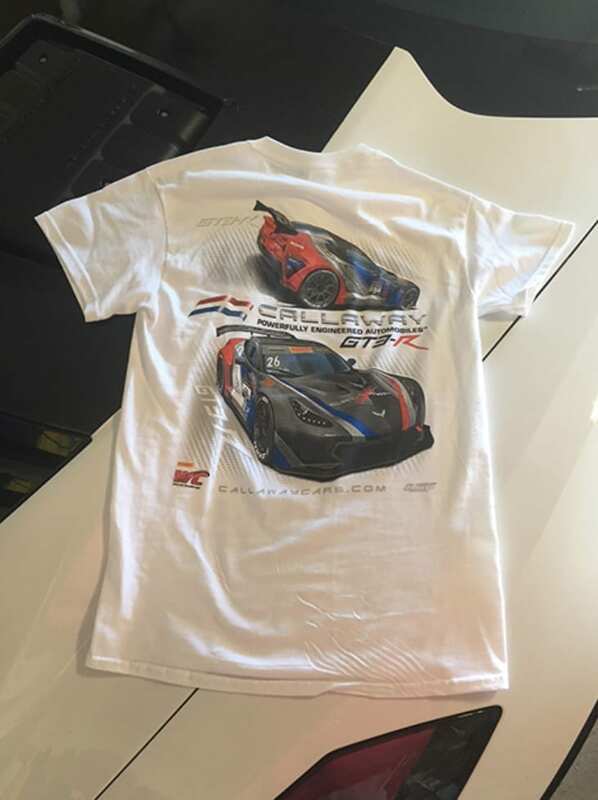 • Callaway Corvette C7 GT3-R racecar graphics on the rear. • 6.3-ounce, “Ultra-Cool”, 100% waffle-knit polyester. • Colors: Black, Red, Royal Blue, White and Navy Blue. • Accented with a narrow 3-button placket, self-fabric collar and cuffs, and square bottom with side vents. • Includes “Callaway Collections” neck tag. 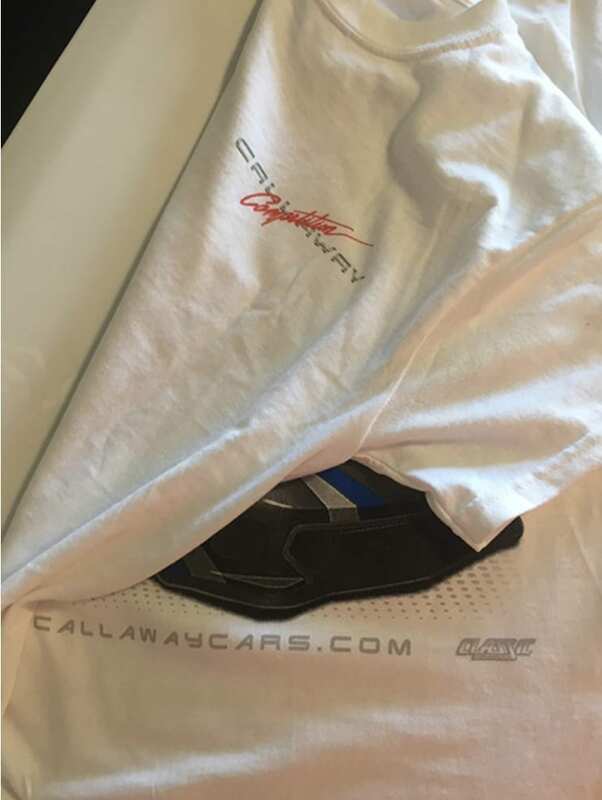 • The Callaway “Powerfully Engineered Automobiles” Logo is embroidered over the left breast. • The Callaway Corvette 30th Anniversary Wreath is embroidered on the right sleeve. • White shirts are equipped with black graphics instead of silver graphics. • Hanes 100% ringspun cotton. • Coverseamed neck with lay-flat collar. • Tag-free “Hanes Beefy-T” neck label. 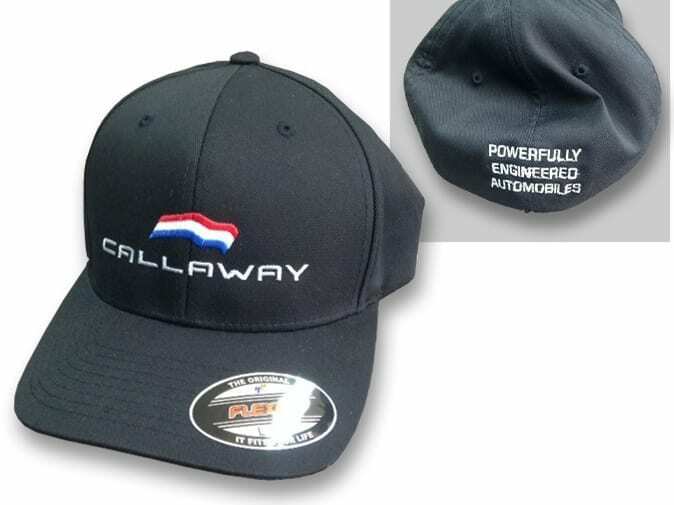 • The Callaway “Powerfully Engineered Automobiles” Logo is applied to the front. • The Callaway Corvette 30th Anniversary Wreath and “callawaycars.com” are applied on the rear. • FlexFit design expands for perfect fit. • Brushed twill, 98% cotton, 2% spandex. • Six-panel, structured, mid-profile eight-row stitching on bill. • 3″ crown, hard buckram backed front panels, sewn eyelets, silver underbill. • Callaway Logo is embroidered on the front. • “Powerfully Engineered Automobiles” is embroidered on the rear. 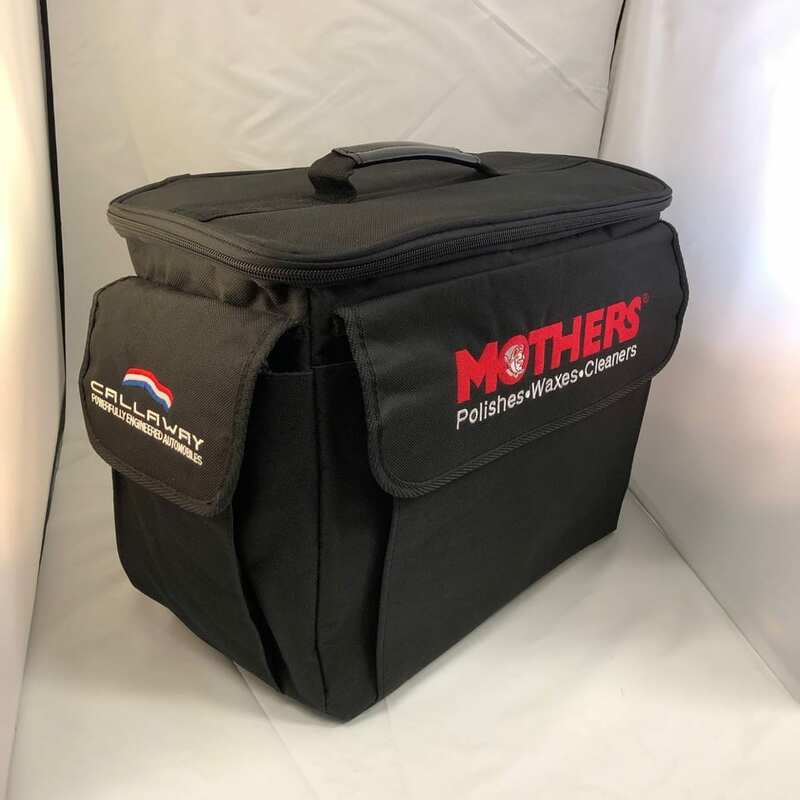 Includes external pockets; ideal for storing your additional detailing products and tools.